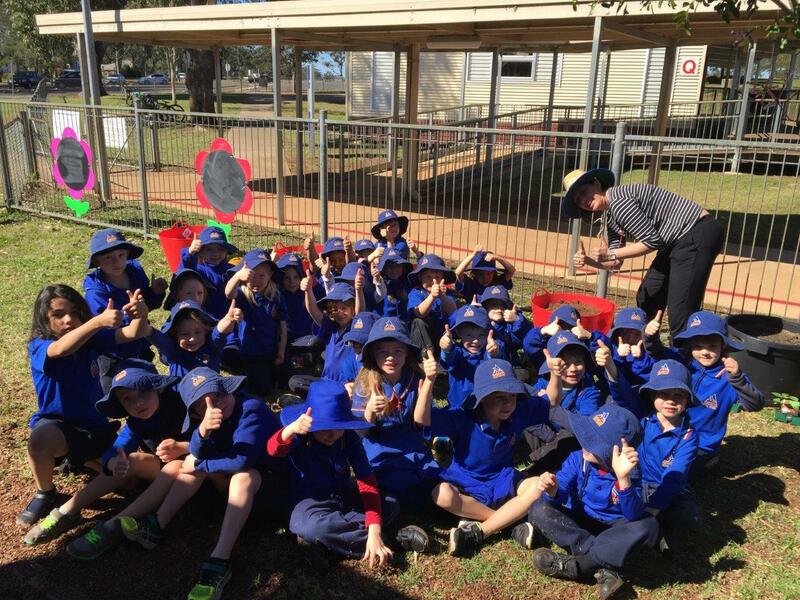 ​On Friday 29th July the Prep classes had a fun time planting the various vegetables that were kindly donated by Pohlmans Nursery, Lockyer Valley. Soil was pre-prepared in our tubs by Mr Thorogood, ready for planting, and we are now caring for our vegetables by watering them each day. It was also suggested to speak kind words to them to help them grow (What a great idea Edward from Prep D!). We look forward to trying our tomatoes, spinach leaves, capsicums, lettuce, womboks, broccoli and cauliflowers (Fingers crossed! ).